If a creditor seeks to collect an outstanding balance owed by you after your death, he must file a claim against your estate. If the debt is legitimate, the personal representative is responsible for paying it out of the estate before your assets can be distributed. In California, creditors have 60 days to file claims with the court beginning with the date the representative notifies them that the estate is in probate. Alternatively, they have four months from the date the probate court authorizes the representative to act on behalf of the estate. Creditors can use whichever option gives them the most time. Federal law bars collectors from demanding payment from relatives or anyone else who does not have legal responsibility for the debts of a decedent. For example, if you held an account jointly with someone else, that individual is liable for paying it. Additionally, California is a community property state, so your spouse can be held liable for debts contracted during your marriage even if she did not personally contract for them. If the estate consists solely of community property, probate is not required and creditors can take action to collect marital debts directly from your surviving spouse. State law in California determines the order in which your creditors and debts are paid after your death. The federal government has first priority, such as if you owe back taxes to the IRS or past-due, federally guaranteed student loans. Child support arrearages also take priority. Claims secured by property take precedence over unsecured claims such as credit card debt. If the estate does not have sufficient assets to repay creditors, your estate is insolvent and some creditors may not be paid. This means your beneficiaries won't inherit anything because all creditors must be paid first before your representative can make bequests. 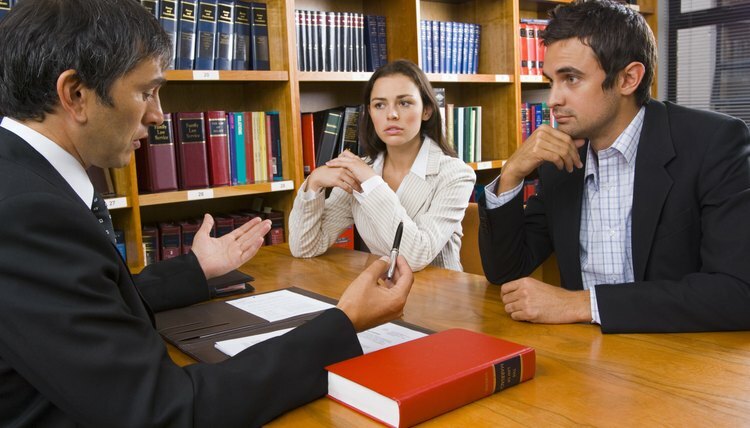 Your personal representative has 30 days to act on creditor claims against your estate. The personal representative may require receipts or account statements as a proof of the claim. If the claim goes unpaid, the creditor has three months to file a lawsuit -- California law allows these actions up to one year following the date of your death. If the court finds in the creditor's favor and issues a judgment, the creditor may start collection actions against your estate or its beneficiaries.